Boise – Idaho, along with Utah, leads the nation in yearly employment growth according to new data released last week by the U.S. Department of Labor’s Bureau of Labor Statistics. From June 2017 to June 2018, Idaho saw a 3.0 percent increase in total nonfarm employment. According to the BLS, 21,700 jobs were added in Idaho over the year. 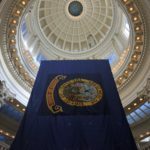 “This is great news for Idaho workers and employers,” said Idaho State Republican Party chairman Jonathan Parker. “With Republican leadership, we are showing that fiscally responsible, pro-growth policies result in more jobs and a better economy. Far more Republicans than Democrats are running for elected office.